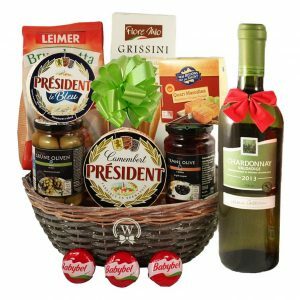 Are you looking for the best and perfect cheese gift baskets to your loved one in Europe? If yes, you reached the right place. 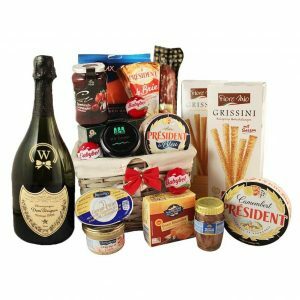 Discover our cheese gift baskets, Champagne, Belgian chocolate, fine wines, gourmet food, and luxury gift hampers in Europe. 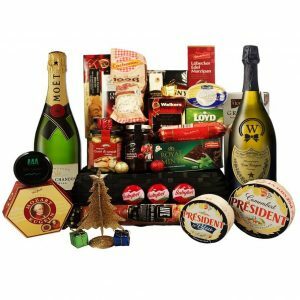 In giving cheese gift hampers, you should only trust one of the best to avoid headaches when the time to provide is already there. Walwater Gifts ensures our valued customers the convenience, quality, and excellence in all our aspects of gift giving. 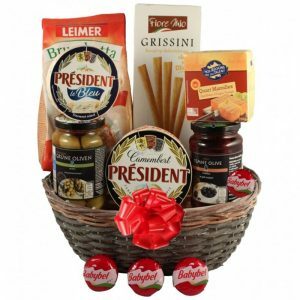 Do you know that Cheese Gift Baskets can be your present on special occasions? Yes, it is. Are you looking for an alternative gift for your loved ones in holidays or event? Are you tired of sending the usual chocolates or sweet treats? Is your recipient prefer food that’s savory and creamy? Your friend will be celebrating his birthday next week? And he’s not fond of chocolates or any sweets, what do you think is the best gift for him? 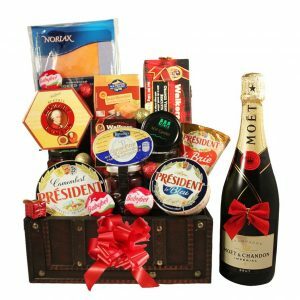 If you’re thinking of a unique gift for your loved one, consider sending Cheese Gift Baskets. A celebration will never be complete without food. If you’re looking for a gift to your loved one, gifts with food will surely win especially when its cheese. Who have thought that cheese has an addictive quality that’s why most of the people love cheese? 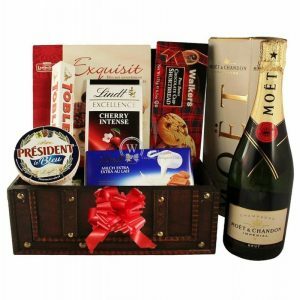 Cheese Gift Baskets can be an appetizer to a celebration or snack while waiting for the main dish. Kids and even adults love cheese which is proven nowadays and for thousands of years. Are you wondering how blocks of cheese which are the all-time favorite snack is made? Generally, cheese is made from the milk of mammals. Manufacturers collect milk from dairy farms and take it to the cheese plant for quality and purity test. Once the liquid passed the test, it will undergo filtration then standardized. In this stage, makers will add more fat, protein or cream to the milk. It is important that makers need to use the same base milk to come up with consistent cheese. After the standardization, the pasteurization process will take place to remove the unwanted and dangerous bacteria in raw milk. After removing the dangerous bacteria’s, “starter cultures” or good bacteria will be added to the milk. The starter cultures will ferment the milk’s natural sugar and turn it into lactic acid. In this process, you can determine the flavor of the cheese and its texture. 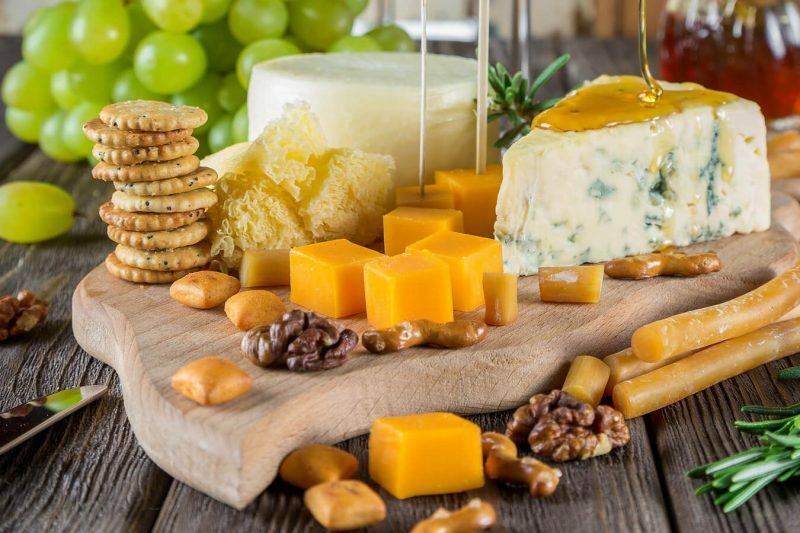 After adding the starter cultures, few ingredients will be added like rennet or depending on the type of cheese – that’s why cheddar is orange and other cheeses are yellow. When the ingredients like rennet mix with milk, it will be like yogurt and the curds will separate from the whey. When the cheese starts to gel, the makers will cut the curds to let out the whey. Once the curds are cut, it will be stirred again and heated to form more whey. In this stage, the curd will separate from the when, and the cheese will be more like cheese. If the curd is salted and in pressed form, it will be Colby or cheddar cheeses. If the curd is brined, it will form as Swiss or mozzarella cheeses. If the cheese is pressed and produces more whey, it will be the regular cheese that we know. When the makers shaped the cheese, it will be kept for a while before consuming it. How amazing that pure milk from a cow or any mammal can be one of the cheese in every Cheese Gift Baskets. Cheese is not a simple food that is usually eaten as a snack. But it can help to make each dish savory, creamy and delicious as well. Who among people you know doesn’t love cheese? No one? Cheese is truly loved by anyone, regardless of the type and brand. Cheese will still be cheese, and it is everyone’s favorite. Do you know that every time you send Cheese Gift Baskets to your loved one, you’re also bringing health benefits which is good to their body? Aside from it is used as a topping in your pasta or partner to your wine, cheese is rich with significant benefits not only for your health but also for your skin and hair as well. 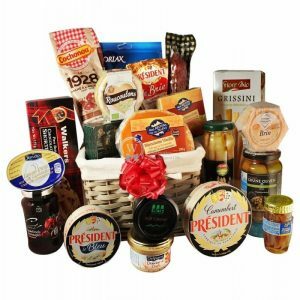 Do you know that when you send Cheese Gift Baskets to your loved ones, you also help in strengthening their dental health? Cheese is known to have a rich source of calcium which is one important factor to have healthy teeth. After a meal, eat cheese like Cheddar, Gouda or American cheese which prevents tooth decay. Aside from teeth, cheese can also be useful for older adults, pregnant, lactating mothers and children to strengthen their bones. It is also an excellent source to prevent osteoporosis. Cheese has protein and calcium that helps in treating osteoporosis. 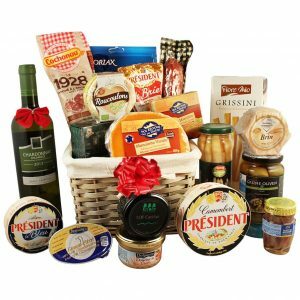 If you’re planning to send a gift to your parents or your grandparents, it would great to send Cheese Gift Baskets to strengthen their bones. Also, it can help people to prevent cancer. Cheese has Linoleic Acid and Sphingolipids which helps in cancer prevention. It also has Vitamin B which maintains your body and protect you from harmful diseases. Low-sodium cheese can help in reducing the risk of heart disease, and the existing Vitamin B is useful in minimizing high blood pressure. As for pregnant women, cheese helps in stimulating contractions during labor. It also helps in milk production in feeding the baby. If you’re planning to send a gift to your pregnant friend for her baby shower, you can consider sending Cheese Gift Baskets. Apart from health benefits to your body, cheese can also contribute to maintaining your skin health. With Vitamin B that exist in cheese, it can keep your skin healthy and glowing. 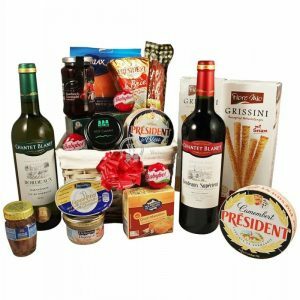 If your friend is on a diet and wants to achieve fair complexion, you should send her Cheese Gift Baskets. Cheese is also a good sleep stimulator. It helps in treating insomnia. Cheese has an amino acid called Tryptophan, and it helps in lowering stress and induce sleep. Aside from cheese is a good sleep stimulator, cheese specifically cottage cheese helps in maintaining hair healthy and make it shiny. 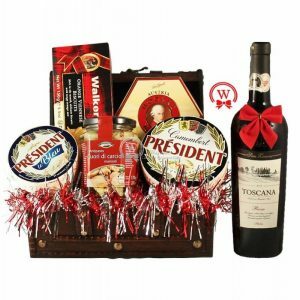 With all of these significant benefits, it is indeed the right decision to send Cheese Gift Baskets to your family and friends. Aside from everyone’s favorite, cheese is perfect for simple celebrations and occasion. If you’re looking for the most savory and delicious Cheese Gift Baskets, find them in Walwater Gifts.